Scotland Yard Inspector Alan Grant is convalescing in hospital after an accident and suffering from intense boredom when his actress friend Marta suggests he put his passion for faces and love of mystery to use and study the portraits of well-known historical figures. He is immediately drawn towards the face of a man who he imagines as ' A judge? A soldier? A prince? 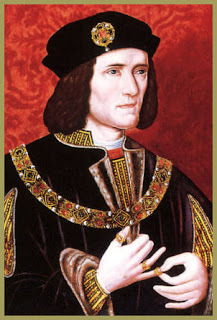 So he is surprised and intrigued when he discovers he is looking at Richard III, the hunchback, the notorious murderer, the man who, supposedly, ruthlessly did away with the two young nephews he had sworn to protect. 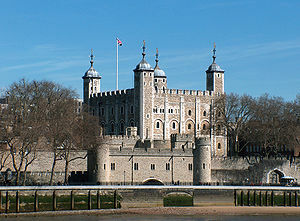 Using his detective powers of reasoning and deduction Grant sets out to explore the case against Richard Plantagenet,and the mystery surrounding the death of the Princes in the Tower, enlisting the help of a young American, Brent Carradine, to do the research at the British Museum. He studies the writing of the time, letters and laws, checking the information and questioning the motives of the authors. It's fascinating reading although for anyone without a basic knowledge of the Plantagenets and the Wars of the Roses it might be confusing. I've long been a Richard supporter so was happy to read anything that refutes the terrible reputation he carries and it was a reminder , as a reader of historical fiction, not to automatically accept as truth what I read. A very original approach to an historical mystery and I enjoyed it very much. I waited a long time to read it and wasn't disappointed. I really enjoy this one as well, though I think Grant & Brent stretch some of their points a little too much in Richard's favor. It's so frustrating that we will never know what really happened, unless some marvelous new discovery is made, maybe in an archives somewhere. The mystery does at least provide a subject for some great historical fiction and it fascinating to read from an original approach. I think for us those dated things add to its charm. It was a great read.